Perfect wedding gift for the country bride! 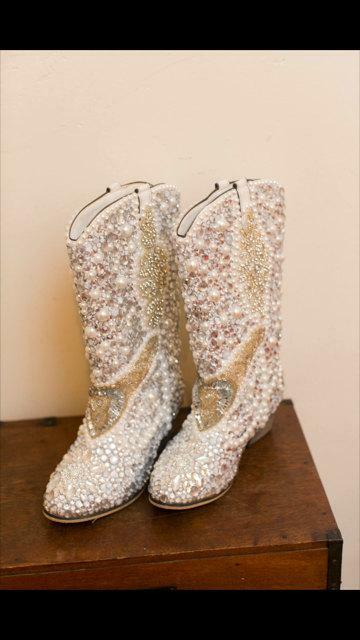 Custom - made to order wedding boots. Photos are an example of boots - each pair is different, as they are all handmade. Custom made, and designed based on your likes and preferences. Want to incorporate your wedding colors? No problem! Message me for any questions, I will be happy to speak with you. Each pair takes approximately 3 weeks to make.